A virtual monument to Los Angeles' departed haunted houses, scare zones, and other October horror shows. Every Halloween season, while we drink deeply of the delightfully dreary ambiance that new haunts and old favorites have to offer, we also suffer a pang of wistful nostalgia as we cast our mournful eyes back through the hazy clouds of time and recall those attractions that have gone to the grave, leaving a vast gap in our annual enjoyment of all things macabre. And lest despair deaden your soul, recall that, when it comes to Halloween, nothing ever truly dies. Haunts once thought dead forever, sometimes are resurrected or reincarnated in another guise. Who knows? Perhaps some of these will return sometime in the future, in some form or another. Many of the more famous of these lost Halloween haunts have their own dedicated pages, which you can find listed in the upper left navigation bar. Description: After 13 years of haunting, this amateur yard haunt called it quits, giving one last performance in 2011. Crestfallen Cemetery (the arch over the gate actually misspelled the name to match the street name: "Crestafallen Cemetery") offered trick-or-treaters a brief walk through a creepy cemetery, with an enclosed ramp featuring lots of animation and some live characters. 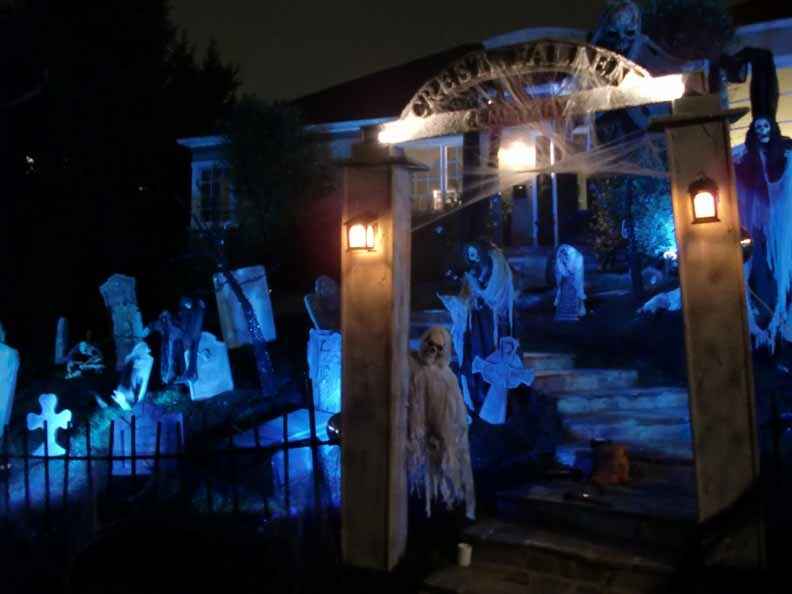 The steep stairs led through a front yard dense with tombstones and ghosts; the enclosed area featured a few spooky tableau appropriate for a neighborhood haunt. The tone was family-friendly - more Disney's Haunted Mansion than Knotts Scary Farm - with nothing too scary for youngsters. NOTE: This Halloween haunted house was apparently a one-shot deal, when some ambitious haunters took advantage of a rare opportunity: being asked to house sit for a friend. With an empty house at their disposal, they turned it into an excellent walk-through haunted house. FEATURES: This completely amateur effort was one of the best Los Angeles yard haunts in 2004. Not really a “Yard Haunt,” it actually took you through a house with seven rooms of bone-chilling fear that promised to “scare the yell out of you,” including a 3D maze. Unfortunately, since then the haunters have been unable to secure a suitable location. With no news of a revival, this goes down in Halloween haunt history as a memorable one-shot wonder. ALSO OF NOTE: Although free, the haunt did take donations. In 2004, all proceed went to benefit APLA (AIDS Project Los Angeles). Read about our 2004 Halloween Haunted House Odessey (including a trip to Frightmare, Grimmstone, Hallowed Haunting Grounds, Witch’s Castle, and other amateur haunts). Note: This Halloween haunt provoked disappointed reactions from Los Angeles Halloween fans when it made its debut in October 2011; though not as bad as some made out, Ghost Ship could not live up to the level of expectations raised by visitors anticipating another great event from the company behind the excellent Los Angeles Haunted Hayride. Description: Ten Thirty One Productions - creators of the Los Angeles Haunted Hayride, one of Hollywood Gothique's favorite Halloween events in Los Angeles - set sail on a new adventure, a ghostly cruise in Orange County. We're not talking about a mock-boat and make-believe sailing; this was the real thing: a 75-minute tour on the high seas that aimed to be anything but a pleasure cruise, with guests allowed to roam at their own pace from deck to deck, encountering horrors guaranteed to send shivers down the spines of all who dare face them. Dark Realms: An American Haunt was more of a "home haunt" than a "yard haunt" - the only major decoration in the front yard was a facade that you entered to experience a walk-through maze, with numerous scenes and actors, eager to have you for dinner. 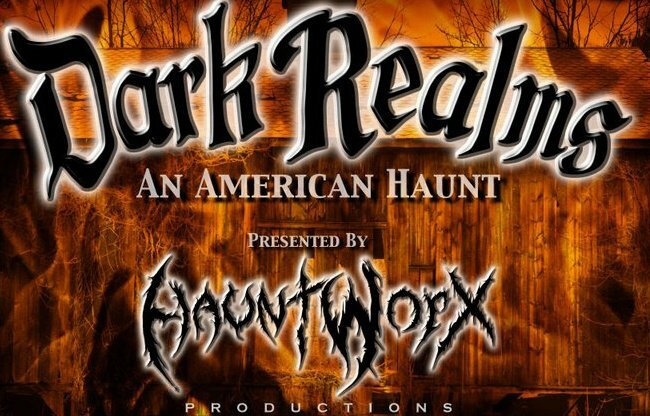 Although located in a private home, Dark Realms charged for admission ($8 for General Admission or $15 for a front of the line pass) in order to raise money for the Children's Hospital of Orange County. 2012 was their final year, as the owners moved to a new location that would not support a haunt. This haunted Halloween event opened its doors for one season only in 2010, offering a Halloween Family Festival, a Family Safety Fair, live music, and a Haunted House. 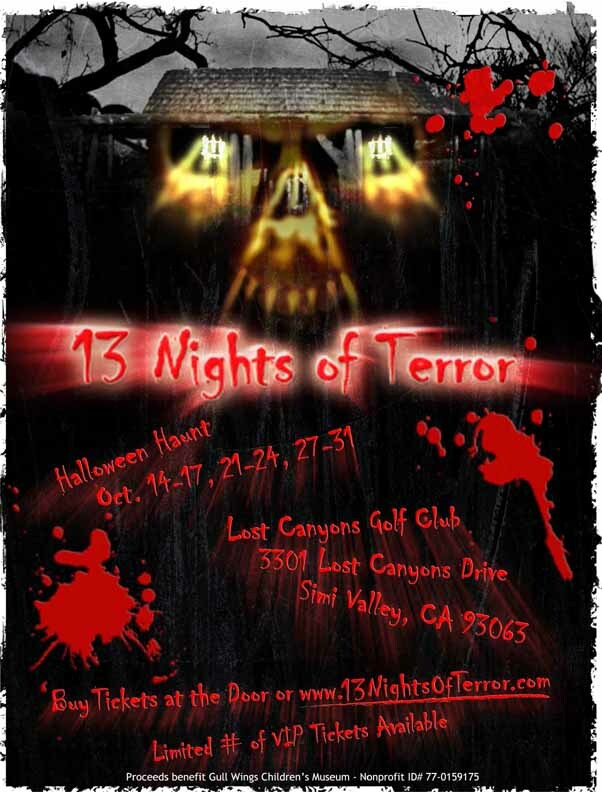 Produced by Shipwreck Productions, which used to handle the Queen Mary Halloween Terrorfest, 13 Nights of Terror was a community-style event whose proceeds went to benefit the non-profit Gull Wings Children's Museum. Description:This Los Angeles Halloween event made its debut in 2012, offering a post-apocalyptic prison where the inmates were "dying to get out." Staged in the abandoned Sears building, Hell Break L.A. consisted of two attractions: the haunted prison and a haunted maze. The former was an interactive theatrical experience; the latter was a literal maze, from which you had to find your way out. The prison maze was quite well done, though a bit shaky on opening night (as you can read in our Hell Break 2012 review). Unfortunately, the event was plagued by organizational problems, including last-minute cancellations, which left ticket-holding customers arriving on sight with no advance notice that the doors would be closed. After the Halloween 2012 season ended, Hell Break L.A. quietly folded up shop, eventually closing down its website and Facebook page nearly a year later. 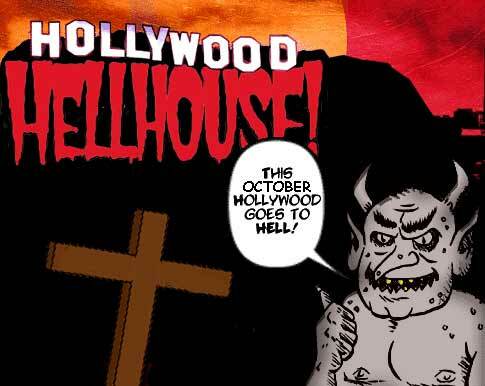 Articles & Reviews for Hollywood Hell House here. After two years of haunting, this Halloween attraction went on hiatus in 2008, with a promise to return in 2009, which never materialized. This was not your typical haunted house but rather a satirical play, based on a presentation designed to teach “young people that they can go to hell for abortion, adultery, homosexuality, drinking, and other things unless they repent and end the behavior.” Keenan Roberts, who has been presenting the real Hell House since 1992, sells Hell House Outreach kits to other churches, including a 263-page manual - which was the basis for the West Hollywood version. It goes without that the West Hollywood presentation played the material for laughs. The original Hell House was the subject of an excellent documentary film, which is definitely worth checking out. After you have seen it, you will definitely be interested in attending the haunt in person. Previously known as "Massacre Manor," this amateur Halloween haunt featured a walk-through back yard path that portrayed an urgent care medical facility is over-run by an infectious disease (shades of QUARANTINE). Admission was free but donations were accepted. NOTE: This gruesomely good yard haunt was out of operation from 2007 through 2009, then resurrected briefly in 2010. It disappeared again in 2011 and remained closed for 2012. We will let you know if it returns. FEATURES: This residential yard haunt and walk-through maze, situated on a sidestreet intersection in a quiet neighborhood, was made up to look like a torture chamber, complete with dismembered bodies strung up above the fence that surrounds the property, plus various torture racks and other menacing devices. The grounds are patrolled by a hooded executioner, who pulls a cord to drop the guillotine on a dummy victim. Enterting the main gate leads you into a short, temporary maze structure, with a couple of gory scenes inside. A local attraction, this extravagant amateur effort can be very busy on Halloween night, unless you arrive very early. Although gruesome, the all tone is somewhat over-the-top and tongue-in-cheek, so this is proabably okay for all except the very youngest kids. 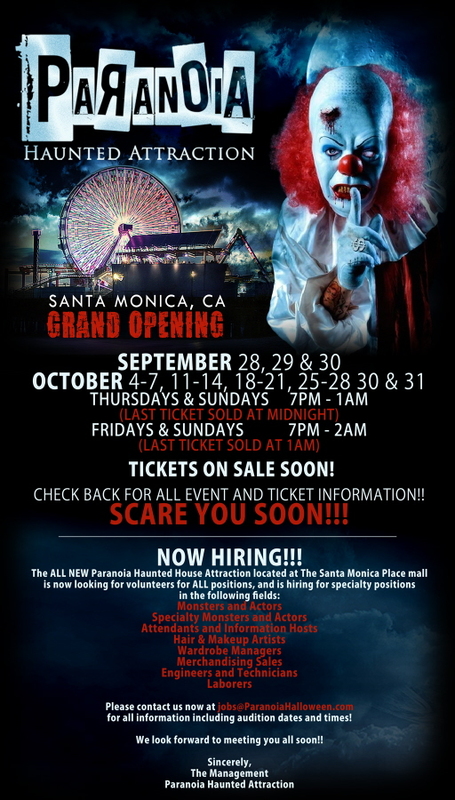 This haunted attraction, which incorporated elements of the defunct Molar Manor, made its debut in Santa Monica for Halloween 2012. The result was a bit disappointing, so it is no great surprise that haunt quietly dematerialized into the eternal ether. 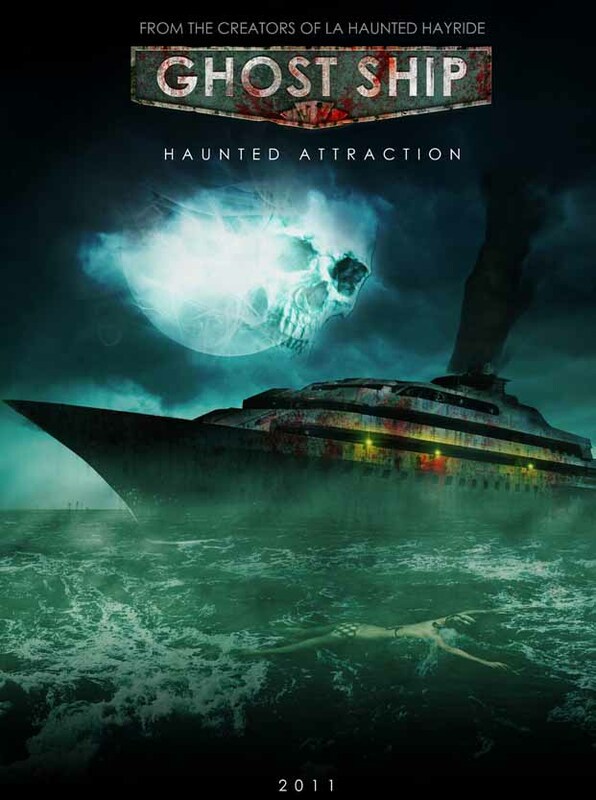 The Scareplex Halloween Haunt was produced by Shipwreck Productions, the people behind the fine Queen Mary Terror Fest. Scarplex made its debut in 2004 to mediocre response; some haunt-goers complained that many of the props and settings were leftovers from the Queen Marry Terror Fest. After returning in 2005, the haunt skipped the 2006 season. In 2007, a new company took over, and the haunt was re-christened “Fearplex” (see listing above). The Haunt featured an all-night dance party and four mazes: Reaper’s Revenge, Voodoo Village, Massacre Mountain, and Mayhem Manor. Scareplex was replaced by FEARPLEX for 2007 and 2008. 2009 saw yet another new haunt at the fairgrounds, Nightmare at Scare View Farms (listed above). SCARE AT THE FAIR: Shipwreck Productions also presented “Scare at the Fair,” a single walk-through haunted house maze, during the annual L.A. County Fair. Like Scareplex, this was later replaced by a new attraction, the Haunted Manor. Read our review of the 2006 Scare at the Fair or check out our video. Click here for the Terry Haunt archive. Circus of Screams: According to the official website, a “Circus of Screams” visited Thousand Oaks decades ago, and many strange things happened; nothing was ever proven, and the circus departed. But many say that the spirits of the evil clowns still haunt the area. Thousand Oaks Haunted House: an obscure filmmaker, whose movies were so sick and twisted that they were never released, mysteriously disappeared when the authorities broke in on him, but his work lives on. This haunt was set up in a temporary structure (a large tent inside a gated area) in the parking lot of the Janss Marketplace, which now houses the Reign of Terror haunted house, which is quite superior. Read our review of the 2005 haunt here. Scaring neighbor hood since 2000, this Altadena home haunt reportedly draws a crowd of 3,500 trick-or-treaters every October 31.